The General Assembly will look quite different in January following Tuesday’s primary, in which several incumbent state legislative leaders lost their seats. 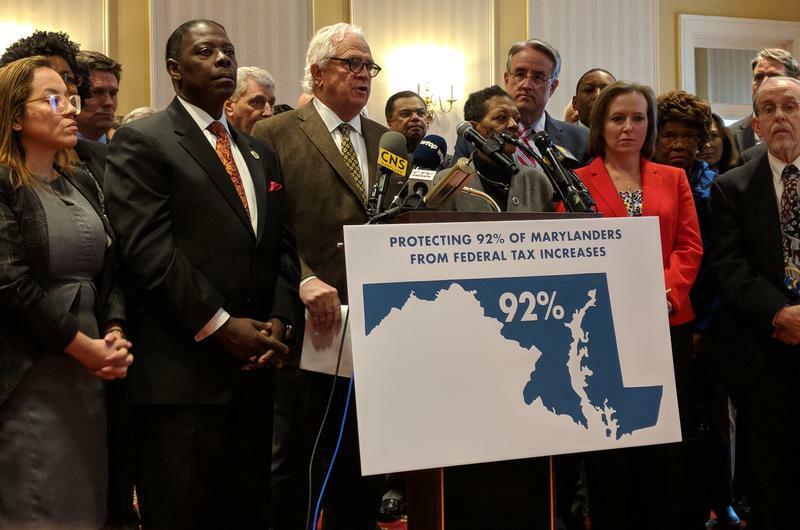 Because of the way Maryland’s tax laws are written, recent changes in federal tax law could lead to sharp increases in state taxpayers’ bills. The governor and leaders of the state legislature all say they plan to look for a way to cushion that blow, and the Democrats in the legislature revealed at a press conference Tuesday how they plan to do that. The opening day of the General Assembly session is always filled with platitudes about bipartisanship and displays of camaraderie. Along these lines, Gov. 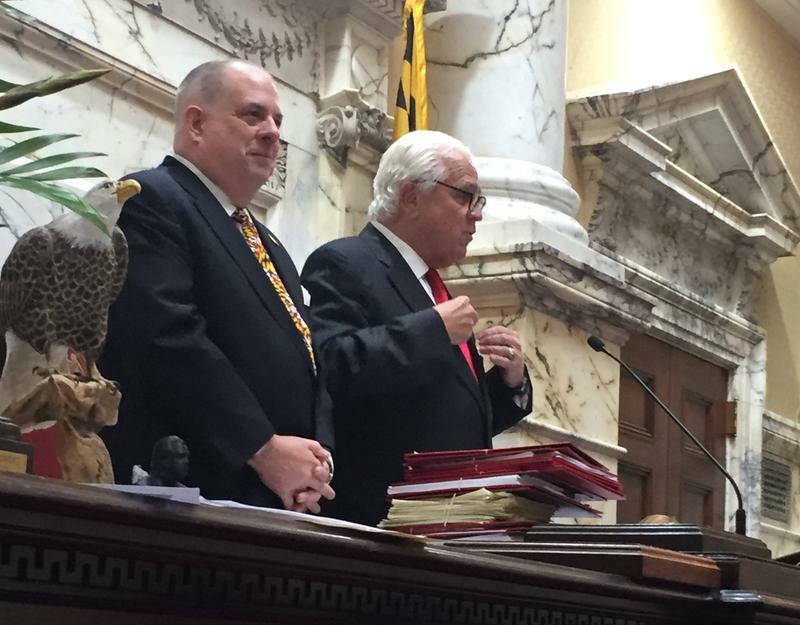 Larry Hogan urged cooperation in his opening remarks to legislators on Wednesday, the first day of the 2018 legislative session. Gov. 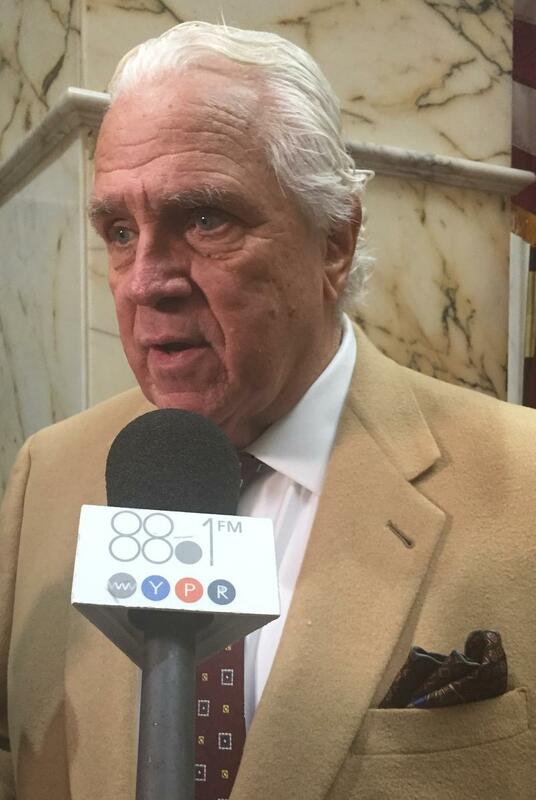 Larry Hogan is proposing term limits for the 188 members of the General Assembly. At a news conference Tuesday, he said his bill would limit each legislator to two consecutive terms, or eight years, in each chamber. 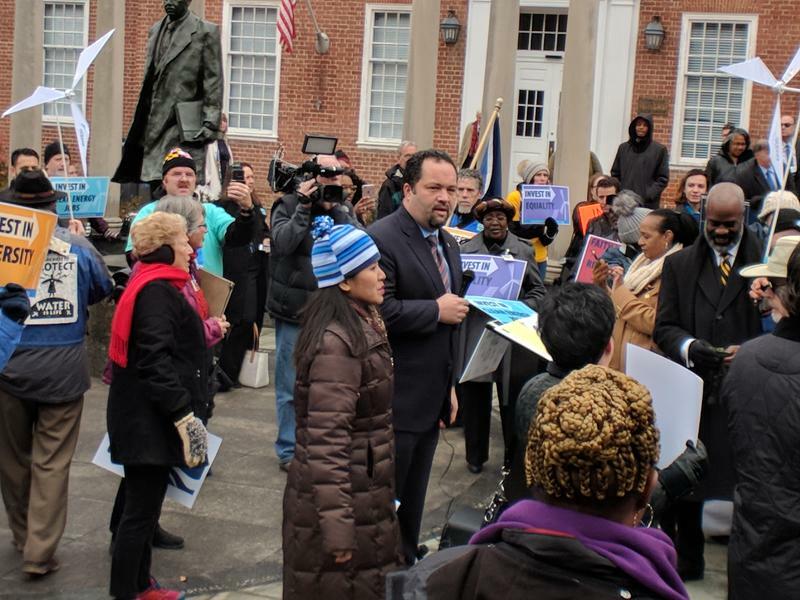 Hogan described term limits as a way for the voting public to hold elected officials accountable. He blamed the lack of term limits and the rise of career politicians for a litany of woes, including pending corruption charges against Sen. Nathaniel Oaks. 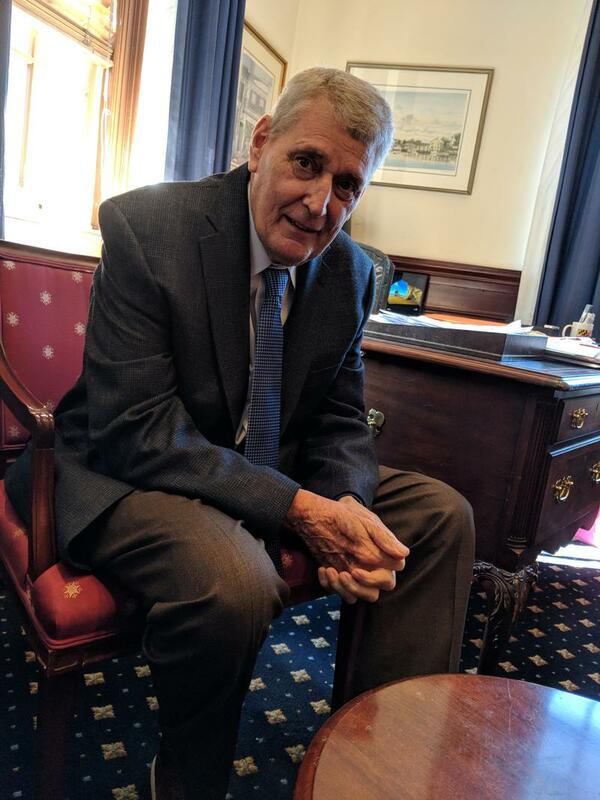 As lawmakers prepare to return to Annapolis Wednesday for the start of the General Assembly’s annual 90-day session, they are gearing up for fights on topics such as taxes, health insurance and Baltimore’s record-level of violence. The leaders of the General Assembly voted Tuesday to update the body’s sexual harassment policy for both elected officials and staff in light of complaints lodged in other statehouses around the country. The new policy requires an annual report that will reveal the number of harassment reports made each year. For each allegation of sexual harassment, the Department of Legislative Services’ Human Resources Manager will have to identify the type of harassment and how it was handled. The report won’t contain any names. 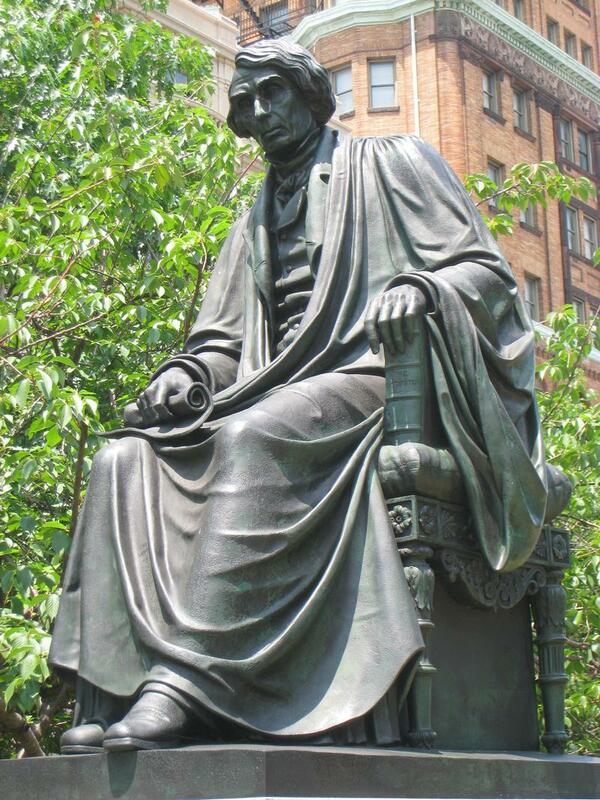 A statue of former Supreme Court Chief Justice Roger B. Taney was removed from the State House grounds early Friday morning, following a key state committee vote, cast by email earlier this week. Taney is best known for writing the 1857 Dred Scott decision that upheld slavery by ruling that black people could not be US citizens. But a day after the State House Trust voted, Senate President Mike Miller jumped to Taney’s defense. Democrats in the General Assembly and environmental activists called Thursday for Gov. Larry Hogan to challenge President Donald Trump’s proposed $73 million cut eliminating the Chesapeake Bay Program. 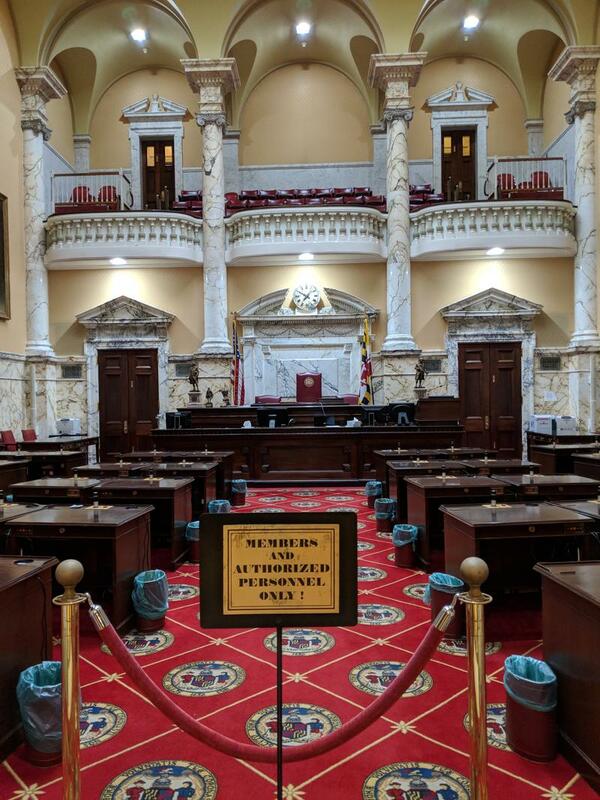 During Thursday's floor session, the legislators introduced a resolution criticizing the cuts and directing Hogan to act. The state Senate passed paid sick leave legislation with a veto-proof majority Thursday, just one day after Gov. 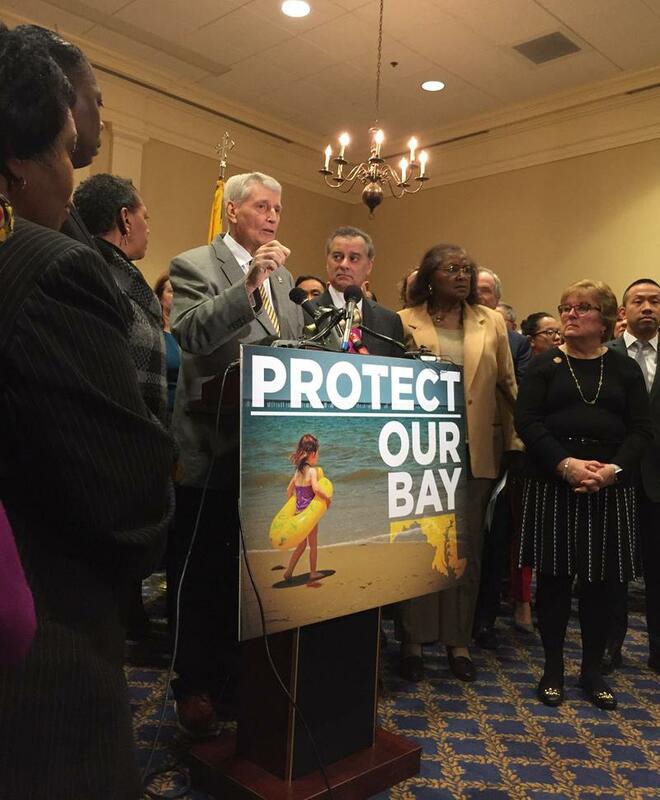 Larry Hogan promised to veto it. A law passed last year requires the state Department of Transportation to rank transportation projects according to how well they meet certain goals, such as reducing traffic congestion and encouraging economic growth. Democrats say the measure creates transparency in the planning process by allowing residents to see how the state chooses which transportation projects to build. But Republican Gov. 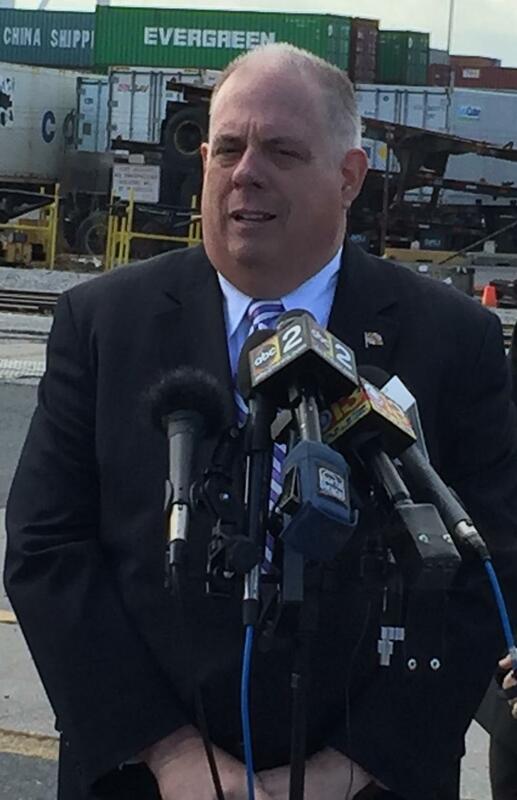 Larry Hogan dubbed it the “road kill bill,” arguing that the law stymies road projects. 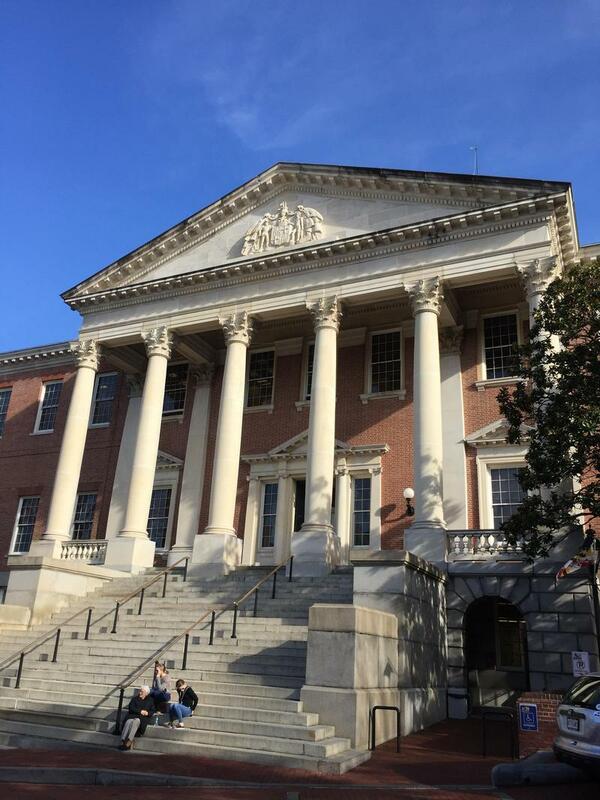 At the beginning of the current General Assembly session, Hogan introduced a bill repealing the law — a nonstarter for the legislature’s Democratic supermajority. 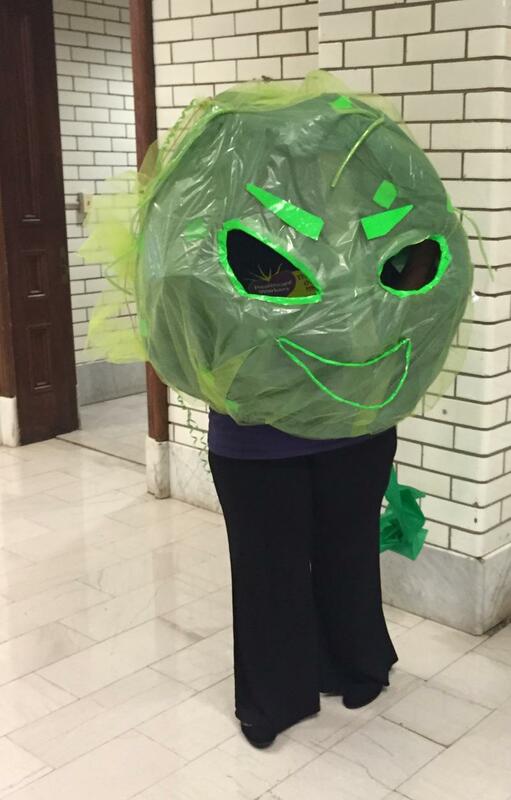 So the Senate Budget and Taxation Committee developed a compromise. The state Senate voted Thursday to override Gov. Larry Hogan’s veto of a bill requiring the state to increase the portion of its electricity that comes from renewable sources. The House voted to overturn the veto on Tuesday, so the bill now becomes law. The bill requires Maryland to get 25 percent of its electricity from renewable sources by the year 2020, increasing existing requirements. The measure passed on party lines. Democrats say the measure helps the environment while creating jobs. Joel McCord and Rachel Baye, WYPR's State House reporter, discuss the sharply partisan exchanges between Gov. Larry Hogan, Senate President Mike Miller and House Speaker Mike Busch. The Maryland General Assembly kicked off the 2017 session at noon Wednesday. But while speaking with WEAA’s Marc Steiner just a few hours earlier at an event hosted by The Daily Record, Senate President Mike Miller offered a prediction on a topic expected to be controversial during the session: whether legislators will ban hydraulic fracturing, the natural gas extraction method better known as fracking. State lawmakers voted Tuesday to approve a $20 million incentive for aerospace and defense giant Northrop Grumman. The money is intended to motivate the company to keep 10,000 jobs in Maryland and spend $100 million on new office space in Linthicum. 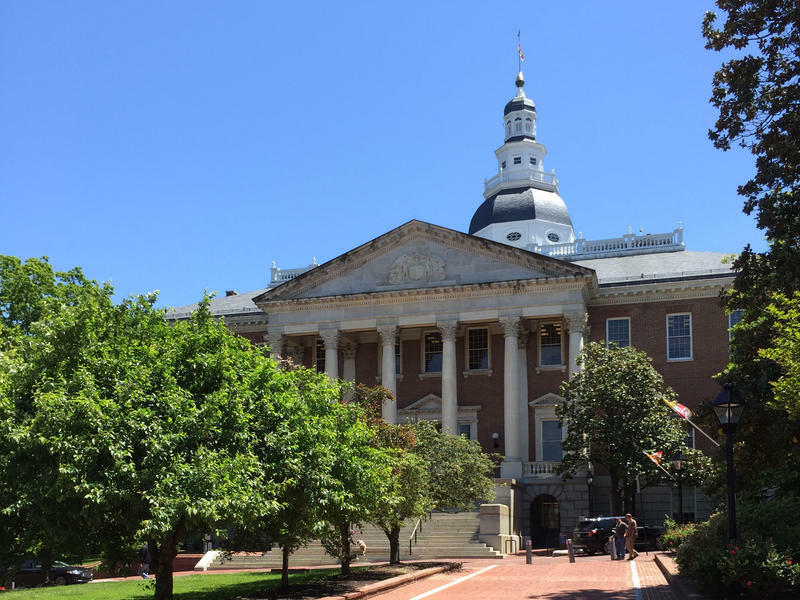 The General Assembly reconvenes in Annapolis in just more than a month, and one of the biggest issues facing members will be filling the state budget’s roughly $400 million deficit. On Friday, legislative leaders and a representative from the governor’s office made some predictions about what’s to come at the Maryland Association of Counties conference on the Eastern Shore. News Director Joel McCord and Rachel Baye, of the WYPR reporting team, take on the latest chapter in the feud between Gov. 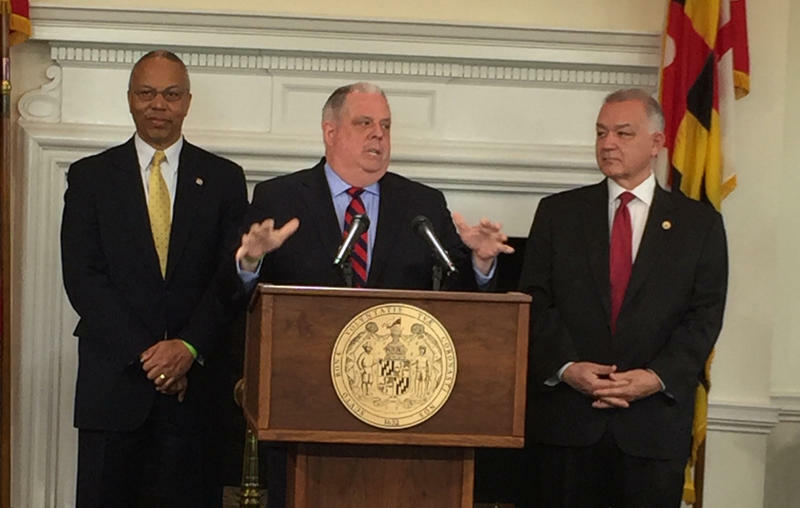 Larry Hogan and the General Assembly over transportation funding. The governor’s office said Wednesday it will not release nearly $80 million the legislature had set aside to pay for a range of items including teacher pensions, the rehabilitation of aging schools, the demolition of the Baltimore City Detention Center and Baltimore’s Safe Streets initiative.